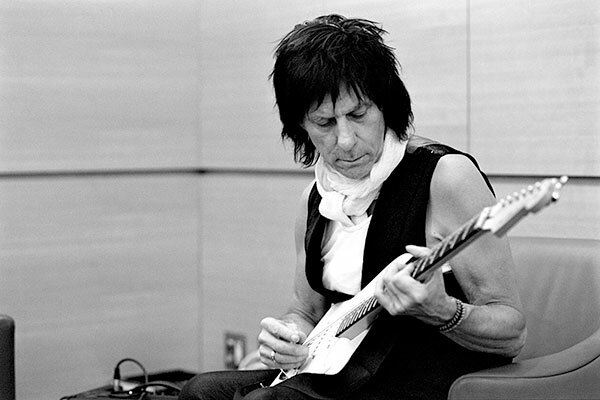 (Los Angeles, CA) Legendary guitarist Jeff Beck announces the second-leg of the worldwide tour promoting his first album in seven years, Emotion & Commotion. The first leg of the U.S. tour will begin on April 16th in San Francisco and head through the world famous New Orleans Jazz Festival on May 1st, while the newly-added second U.S. leg will light up the Boston scene starting on June 3rd before hitting Atlanta, New Jersey, Detroit, and Indianapolis throughout the remainder of the tour. Prior to the official kick-off of the Emotion & Commotion tour, Beck will unite with fellow Hall of Fame guitarist, Eric Clapton, in February for a series of exclusive shows in London, New York City, Toronto, and Montreal. Both famed guitarists are former members of the Hall of Fame Yardbirds. Accompanying Beck at these special engagements, as well as the World Tour, will be a brand new touring band, including the Grammy award winning producer and songwriter Narada Michael Walden on drums, Rhonda Smith on bass, and Jason Rebello on keyboards.